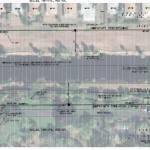 UPDATE: New information on the Hillsboro Canal Bank Stabilization project included below. Hillsboro Canal Bank Stabilization Project Updates – Published in the South Florida Water Management District (SFWMD) April 2013 Newsletter. An in depth look at…Managing Flood Water Before and After the Storm – Published by the South Florida Water Management District (SFWMD). The Canal Bank Stabilization project will repair banks along the Hillsboro Canal and dredge a 7.6 mile section – from about Military Trail to 3 miles west of U.S. 441 – to ensure water can be moved through the canal to maximize flood protection. Starlight Cove residents affected will need to remove their dock or other obstructions in the right-of-way. While construction will probably not commence until June 2013, you will see activity in the area as the South Florida Water Management District (SFWMD) prepares for this undertaking. West Deerfield Community Alliance (WDCA) will work closely with the SFWMD as this project gets closer to commencement.